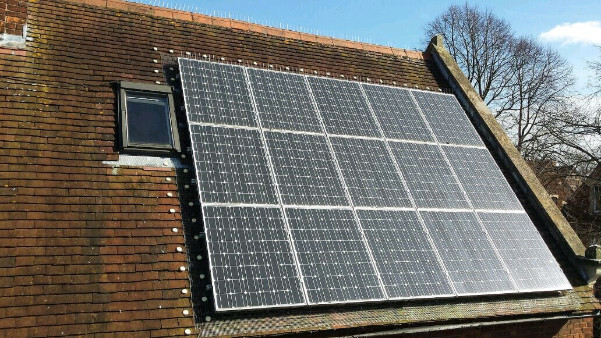 Photovoltaic arrays, commonly known as Solar Panels, are very common feature of the roofs across many UK cities. Generally they need minimum of maintenance, however this can rapidly change due to nuisance birds. Unlike windows, Solar Panels need a clean and clear surface to ensure they are working to their maximum efficiency. If they are not at their optimum performance it means they are not producing the amount of electricity that they could be. Feral pigeons and many other bird species are attracted to solar panels as they offer warmth and shelter. Birds can build nests underneath; acidic droppings can corrode the supports, wires and connectors. Dust, debris and bird droppings will affect the panels’ performance therefore removal of birds from the roof will improve their efficiency. From our experience we know that that the best proofing method to exclude pigeons from nesting underneath the solar panels is by using mesh and clip system. We also know that forcing (wedging) the steel mesh into the gap could damage the panels and therefore it is not good practice. 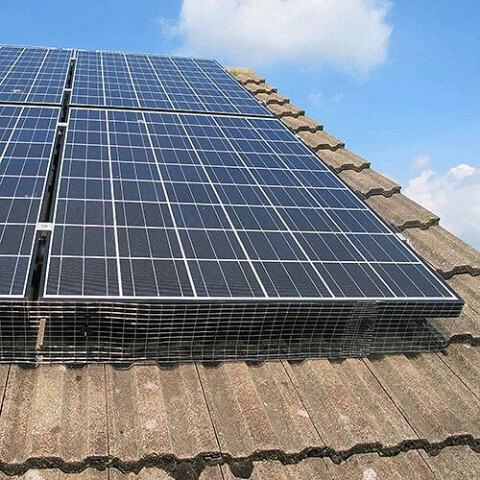 Mesh is attached to the side of the solar panels using a specially designed clips that clip onto the panel without the need of penetrating the solar panel or the roof ensuring that all manufacturers’ warranties are preserved. Excluding birds from underneath the solar panel arrays will significantly improve theirs efficiency reducing cleaning and maintenance requirements at the same time. Need an advice about solar panels? To talk to our bird control specialist call us on 020 8355 3443!